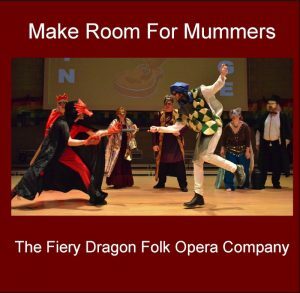 So far the Fiery Dragon Company has one recording to its name – a full cast recording of the opera Make Room For Mummers described below. As soon as the group (2018 onwards) have made some recordings they will be also available here (and very probably Bandcamp). (If you want to add a message to us then feel free to use the “Note to Seller” option on the Paypal screen).